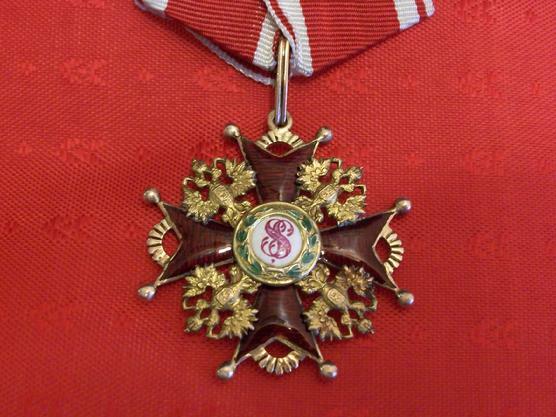 You are looking at a second class imperial order of St. Stanislas. 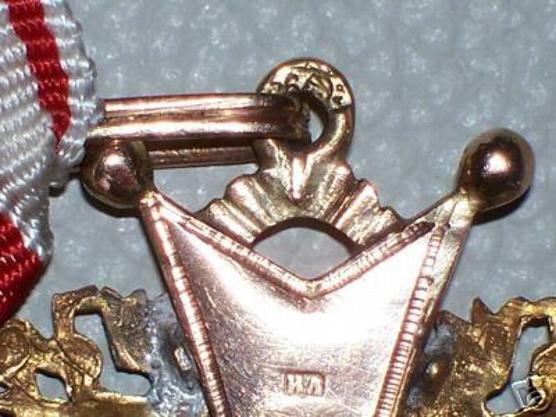 It is in gold and stamped 56 on the suspension and the assay mark in russian (A.P.). Enamels intact in very good condition. On the reverse, there is a stamp on the upper arm with russian master's initials "I.L. "( I.Lozinskiy. 1882-1908). 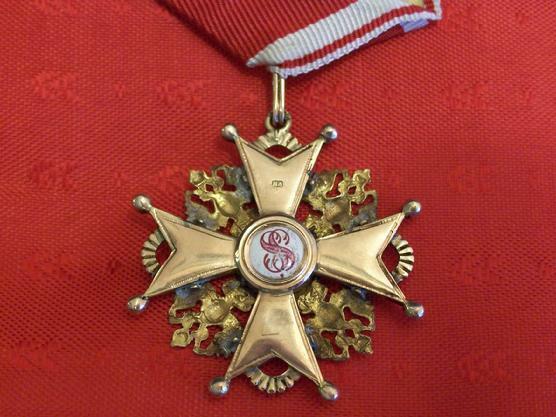 The order of Saint Stanislas was founded on May 7, 1765 by Stanislaus II, the last King of Poland. 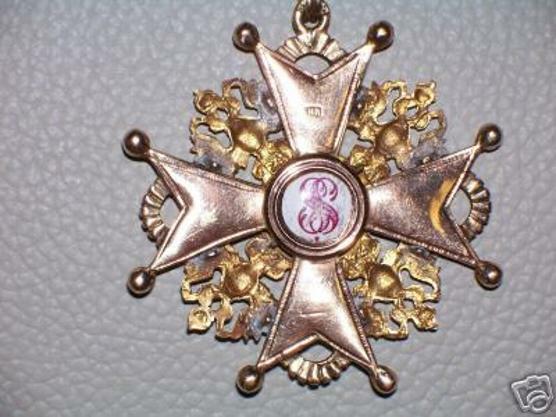 The order of Saint Stanislas passed through several phases before becoming a Russian Order in 1831, after the Polish rebellion of 1830 had been suppressed by the Russian Army. 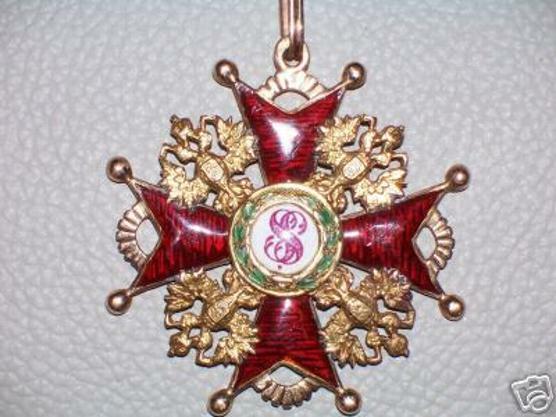 The badge of the Order was gold rimmed, dark red enemeled. This order is eight-pointed cross, each point has ball tipped. Between each arm of the cross appears Imperial Russian Eagle. Center medallion is white enemel and portrays in red the monogram of St. Stanislas surrounded by a green gold laurel wreath.